Why do I still hurt months after the initial injury or why do I keep hurting my back aren’t uncommon questions that I hear at work. There is no simple answer to these questions though I shall attempt a simplified version of what happens when we injure ourselves. Pain in any form be it recurring back problems or damaged knee ligaments is a product of the brain in response to information sent to it. Injuring an area stimulates the nociceptors, sensory nerves that respond to potential and actual tissue damage and possibly best thought of as danger receptors, in the area where you are experiencing the pain. Be it a recent injury or a long standing issue, sharp pain or a dull ache it is these guys sending messages to your brain informing them of a possible problem. The pain you actually feel is all produced by the brain after it processes the information along with what else is going on at the time. This does not mean that the pain doesn’t really exist just that what we think of as pain is quite different from what it actually is, which is in it’s simplest terms an output of the brain in response to stimuli rather than something that is produced by the tissues themselves. Where we have an acute injury such as a sprained ankle we get input to the brain from the area telling it of the possibility of damage to the ankle ligaments. We process this information and then decide on how to act on it. In most circumstances this means we receive information from the injured area, process it and realise that we’ve hurt ourselves and feel the pain in our ankle and alter how we move to protect the it. This isn’t always like this even with acute injuries. If a footballer injures there ankle during an important game or if you are running for a bus it is possible that these signals can be ignored until such time as you decide that they are important enough. It isn’t that you don’t feel anything up to this point just that you have deemed them unimportant with regards to everything else you are doing. Only when you sit down on the bus or once you’ve won the cup final will your brain turn it’s attention to the evidently injured ankle and you’ll notice just how sore it is. In other words tissue damage doesn’t always equal pain, at least straight away. You can also injure yourself and feel no pain at the time or later on as I found out today when I tore a callus on my hand. I felt no pain when it happened during a set of heavy deadlifts but there was also none at all even after I had seen the damage and saw the blood on my hand. The first I noticed it was something sticky on my hand which, when I looked, I discovered was blood. This might simply have been because the injury wasn’t limiting me in any way from doing anything. So our brain can dampen down the signals coming from the tissues even when there is evident damage. It can also heighten them so that we feel pain even when there is no damage at all. As the diagram below shows, how we react to the messages being sent from the “injured” area is a lot more complicated than simply responding to the nociceptive signals from the nerves. 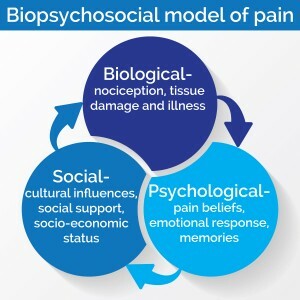 On top of these we have complex interaction of thoughts, emotions and previous experiences which all add together to become the output that we think of as pain. This can mean that not only can the brain choose to ignore signals coming in it can also heighten others be they from a particular area or if our emotional state or stress levels are such that you might feel more pain than one might expect or when there there is no apparent cause. Over time we can become sensitised in an area, local sensitisation, where the area is much more likely to respond to even minor provocation by sending signals to the brain that there has been some serious damage to the tissues. We can also get sensitisation in the spinal cord and brain, central sensitisation. With constant or repeated signalling we become very good at registering pain as the pathways become “ingrained” with constant use. 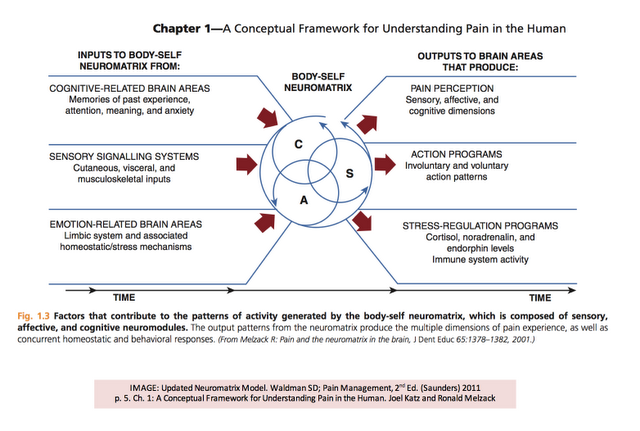 This is where our understanding of pain itself becomes part of a vicious cycle. We know that as pain persists the nociception [danger signalling] system becomes more sensitive. What this means is that the spinal cord sends danger messages to the brain at a rate that overestimates the true danger level. This is a normal adaption to persistent firing of spinal nociceptors. Because pain is (wrongly) interpreted to be a measure of tissue damage, the brain has no option but to presume that the tissues are becoming more damaged. So when pain persists, we automatically assume that tissue damage persists. Central sensitisation is likely something that happens in a mild form to many people and is a likely cause for many cases of back pain. In the most severe cases even light touch can cause a high degree of pain. 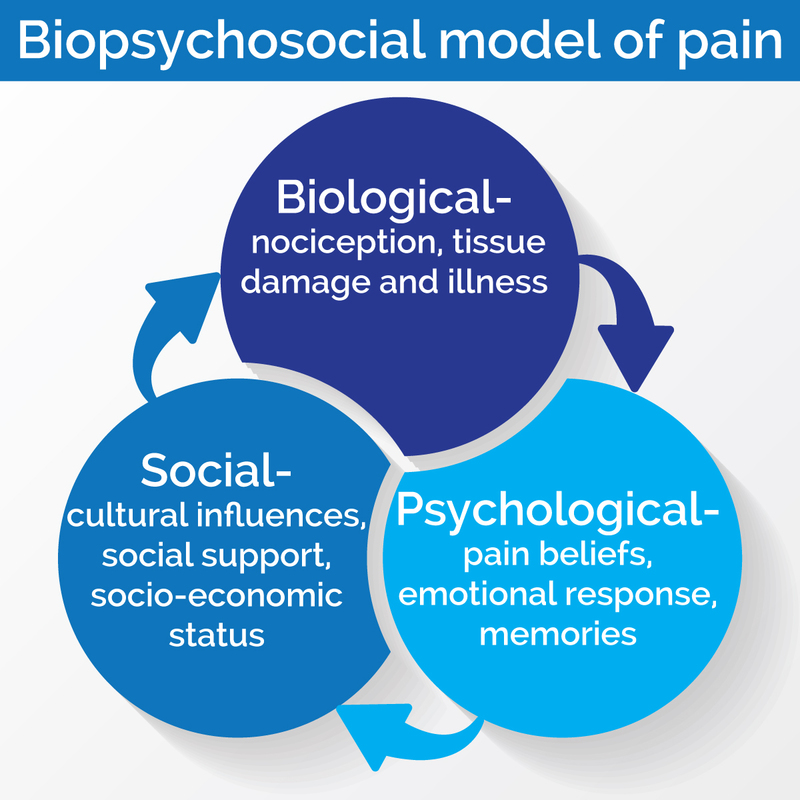 The complex interaction of the biological, social and psychological aspects of form what we know of as the BioPsychoSocial model of pain. The idea that there isn’t just one thing that causes us to feel pain but many different and varied things is very important, especailly in tose cases where the pain has been a long standing issue be it “constant” or more intermittent episodes. Hopefully this helps you understand why we can still feel pain long after the initial injury. Cheers Yusef, glad you liked it. 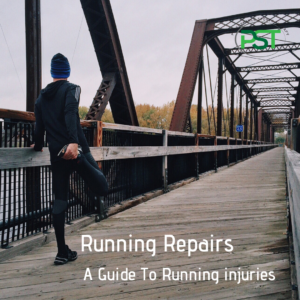 Previous PostPrevious Sports injury prevention: What can you do? 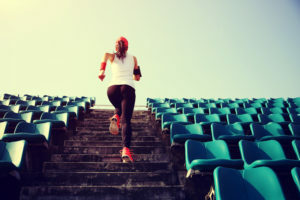 Next PostNext When is the best time to get a sports massage?